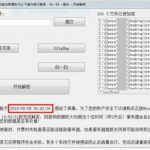 Hey !, I found this information for you: "WeChat Pay Ransomware – How to Remove It". Here is the website link: https://sensorstechforum.com/wechat-pay-ransomware-remove/. Thank you.